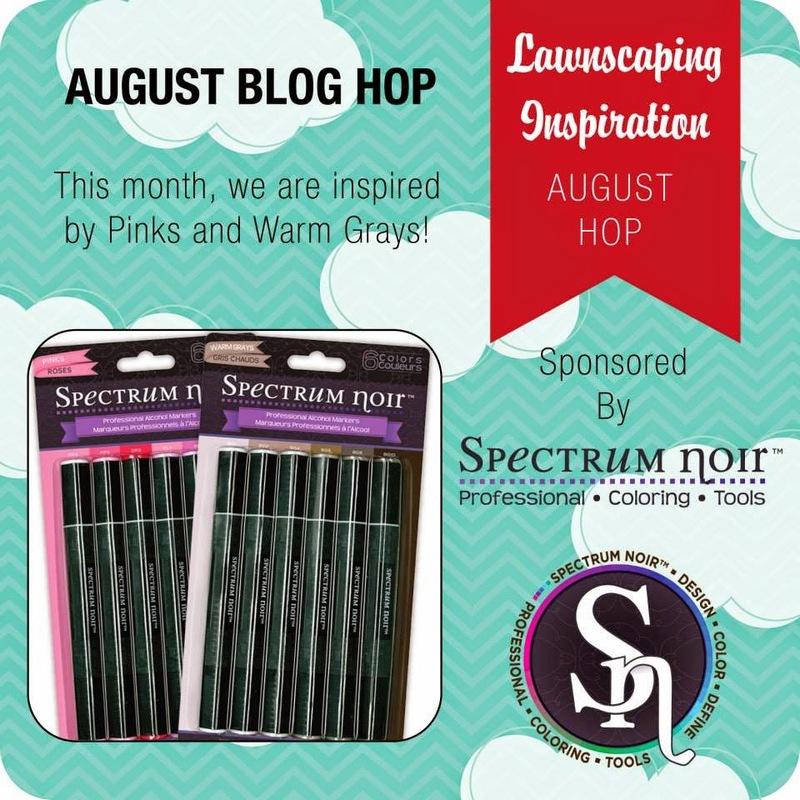 So, if you're a big Lawn Fawn fan like I am, you'll defintaley want to join this hop because you'll want to use those Spectrum Noir to colour your Lawn Fawn images :D This month we are inspired by the colours Pink & Warm Grays. The images and the word "Love" is from the Science of Love stamp set and the word "you" is from the Good Fortune stamp set by Lawn Fawn. Oh, this is adorable! Love how the birdies peek :) Cute! Oh wowzers!! This is fab!! Loooooove your design!!! That big pink bow is gorgeous!! I love the little birds inside the circle as well. Great take on the color combo! Cute with wonderful coloring. Like the paper bow. This card is just adorable! I absolutely love the layout and design! clean and fairly simple. So cute. Cute and Fun card. Love it! Awww so adorable :) lovely design! Very cute and adorable, the little birds are so cute and your colors are wonderful. How cute! I love those sweet little nerdy birds and that amazing bow! Nice birds, nice bow, nice design! Super Cute Marina!! Love your coloring too! This card is such a wonderful love card. I love the birds and love that it's appropriate for Operation Write Home! The sweetest design, so adorable, love the elements used on your card design!!! what a fun design, I love the how the birds are just peeking over the edge. winner, winner! your's is my fav card on this blog hop! so darn cute and lots of interesting details! I want to CASE this card. Thanks for the inspiration! Thanks Penny! Let me know when you do, I would love to check it out. This is just Darling!! One of my favorites! Absolutely a favorite- love the clean & simple look! Cute birdies, and love the bow, too! This card is adorable! Love the simple layout too! :D This card puts a smile on my face! Love the details, but also love the simple look of it. So adorable cute!!! Love the science chicks :) Must get that set. Very pretty card...love those nerdy birds!